To learn about opportunities for investing in migrant and refugee integration, start by clicking on the stages of settlement and integration below. In this immediate stage (0- 3 years) many newcomers face a diverse range of needs such as stable long-term housing, child-care, health services, education and employment. Micro-loans & social impact bonds are commonly used to address these needs. In the second stage (3 – 5 years) integration becomes the primary objective. At this stage relevant social finance models move away from assisting individuals in their training & employment and toward enabling entrepreneurial newcomers to access capital. In the third stage (beyond 5 years) it is anticipated that the newcomer is now integrated in Canadian society. It is important to recognize that integration is a two-way street, and social finance models in this stage focus on diversity and inclusion. Meeting the diverse settlement and integration needs of migrants and refugees will require diverse models and approaches. Micro-loan funds & programs can provide migrants with access to affordable finance. These initiatives often support migrant entrepreneurs or professionally trained migrants to access certification leading to employment in their field. Migrants are often excluded from traditional sources of capital due to a lack of credit history and collateral, low-income levels, and in some cases, discrimination. SME loan programs provide migrant-owned businesses with access to capital to grow. SIFs pool capital from a variety of sources to invest in social sector organizations & projects that may face barriers to accessing traditional sources of finance. SIFs can invest in organizations (e.g., social enterprise) that provide services or products for migrants. Governments make payments to service providers or intermediaries on the basis of achieving pre-agreed performance targets. P4Ps can encourage innovation in service delivery & meaningful partnerships for migrant settlement & integration. Financial institutions, including credit unions, banks, foundations and pension funds, are paying increasing attention to the societal impacts of their lending and investment decision-making. A "migrant investment lens" can enhance their existing responsible investment and impact investment strategies by creating positive impacts for migrants and communities and by providing new opportunities to generate long-term financial value. What is migrant lens investing? Migrant lens investing is a process that incorporates migrant issues into responsible investment and impact investment analysis to enhance investment decision-making. The concept of migrant lens investing borrows from gender lens investing. A migrant lens can help investors to identify the ways that migrants interact with all of their investments. This approach can unlock new opportunities for leveraging finance to achieve positive impacts for migrants and their local communities. A migrant lens can help investors to identify risks that are overlooked by their responsible investment analysis and “find value where none was found before” by considering the ways in which migrants contribute to the economy. There are several ways in which governments can support and encourage investors to incorporate migrants and refugees into their investment analysis. Strategies include de-risking new opportunities & co-investing, among several others. Research conducted by Purpose Capital and the Carleton Centre for Community Innovation identifies and evaluates a diverse range of social finance models that could be applied to the settlement and integration sector in Canada. Internationally, a growing number of investment products and strategies are being applied to address migrant integration. With over 60 million forcibly displaced people worldwide in 2015, investors of all stripes will need to deepen their understanding of the economic and social costs and benefits of migration. 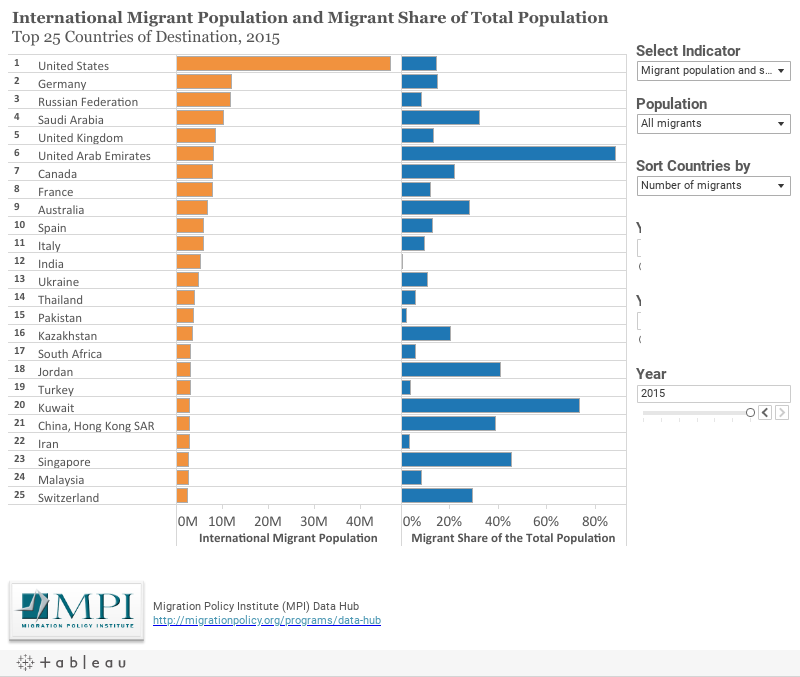 In 2015, 72 % of all international migrants were between the ages of 20 to 64 years, compared to 58 % of the total world’s population. - not only on the socio-demographic characteristics of migrants but also - on the host country’s integration policies and the presence of an inclusive business culture.